Judy’s unusual pets—Jaws, Mouse, and Toady—are the center of attention in a new Judy Moody® book for newly independent readers. Dr. Judy knows a sick pet when she sees one, and Jaws the Venus flytrap is for-sure sick. Time for some urgent care and first aid! Judy Moody, pet vet, will never rest in her efforts to nurse Jaws back to health. In her quest for a medical miracle, Judy finds herself wrangling an unruly toad and seeking help from Mouse, the mind-reading cat. Nothing will stand in the way of Judy’s search for a cure. Not even the fearsome Carnivoria vampira! From Megan McDonald comes this selection of three mini-stories just right for luring young readers into the Moody universe. This collection of poems takes young readers to a day at an urban farmers’ market. Who to see, what to eat, and how produce is grown—it’s all so exciting, fresh, and delicious. Readers are invited to peruse the stands and inspect vendors’ wares with poems like “Farmer Greg’s Free-Range Eggs,” “Summer Checklist,” and “Necessary Mess.” Bright and vibrant, this is the perfect guide for little ones to take with them on marketing day to inspire literacy and healthy eating. To say that Foxly is hungry would be an understatementhe can’t stop thinking about food! He’s completely ravenous. So Foxly sets out to find something delicious and filling. First, he discovers a deserted bag of groceries. But will it be enough to fill this fox? It looks like he has something bigger in mind. Foxly approaches a group of roosters and hens, but he still does not chow down. Just what could this crafty fox be up to? Foxly is dreaming of a bigger and better feast, but who will be invited to join himnot as his supper but as his picnic guest? Foxly’s Feast is a warm, wordless picture book about the delights of healthy eating and friends. Owen Davey’s autumnal palate and expressive illustrations provide opportunities for even the tiniest readers to imagine what Foxly will do (or eat) next. Follow Pete Moss in this magical, beautifully illustrated story as he attends boarding school on Bloomers Island to learn about gardening and growing his own vegetables. When Professor Sage announces the Very Very Veggie Challenge, Pete immediately knows what he needs to grow spinach. It’s the one vegetable that can make him stronger. But does Pete have the patience to grow his spinach plants to win the contest? With the help of headmaster Professor Sage and his fellow Bloomers, Pete learns all about spinach, working hard toward his goals, and that good things take time to happen! The Bloomers series brings to life the world of gardening and healthy-eating to young children in new and exciting ways. The popular Bloomers Island! gardening kits and online world blossom in a playful, beautifully illustrated new book aimed at getting kids to love everything about nature. Join the Bloomers on a whimsical adventure as they attend a magical boarding school on Bloomers Island. As Pete Moss, Rosey Posey, Big Red, Violet, and their friends prepare for the Great Garden Party, they learn about gardening, healthy eating, and caring for the environment. The treehouse school is held by the arms of Mr. Banyan, a tree about to celebrate his 200th birthday. His birthday party is filled with fun games that teach the curious students that gardening is not at all boring or hard--that it's actually really fun! Good Enough to Eat is one of a kind: the only guide to kids' nutrition written especially for kids. A practical, hands-on tool for families who want to eat a healthy diet, this book explains nutrition from carrots to cookies. In this book, you will learn: all about the nutrient groups—carbohydrates, protein, fat, water, vitamins, and minerals each nutrient's function which foods contain which nutrients how much of each nutrient a kid needs each day how the body digests food all about calories Good Enough to Eat includes kid-friendly recipes such as Alphabread and Full o' Beans Soup, and even shows kids how to test their food for fat. Perfect for parents, educators, librarians, and doctors trying to explain healthy eating to kids! A celebration of the amazing human machine and a life on the move! Your amazing body can jump, sprint, twist, and twirl. Your body is built to move. Lizzy Rockwell explains how your bones and muscles, heart and lungs, nerves and brain all work together to keep you on the go. Kids walk and skate and tumble through these pages with such exuberance that even sprouting couch potatoes will want to get up and bounce around—and that’s the ultimate goal. Studies show that American kids are becoming more sedentary and more overweight and that they carry these tendencies with them into adolescence and adulthood. Experts agree that we need to help kids make physical activity a life-long habit. Through education, information, and encouragement, this book aims to inspire a new generation of busy bodies! The young girl at the centre of this charming and quirkily-illustrated story hates brushing her teeth and is terrified of the dentist; as far as she's concerned, there's no scarier monster. But when she meets a real monster in her bathroom, she learns how dentists are really heroes and brushing your teeth is very important - so important that even monsters do it!This inventive picture book is brimming with humour and imagination. 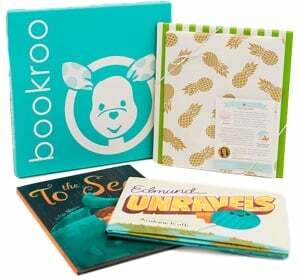 Parent and child will love to read along together over and over again.